So you’ve performed a code erase on your OBD-II-equipped vehicle, and now you’re due for an emissions check. But your code reader shows you’re not ready because some of the OBD-II emissions-related tests haven’t completed yet — specifically that the “HAS RUN” flag remains unset. What to do? 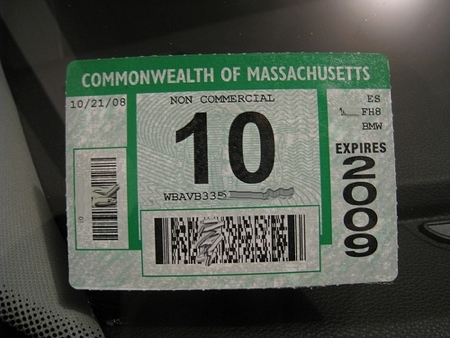 Well, you can drive around on your expired inspection sticker for a few weeks, checking until the flag goes away. But there’s a better solution: perform the manufacturer’s recommended drive cycle. The drive cycle is a series of actions which, when performed correctly, will offer an opportunity for all the OBD-II tests to complete, leaving you with a fresh, ready-for-emissions-check computer. Cycles vary among manufacturers, but most take an hour or two to complete. For those of you interested, it looks like the personal issue with my trusty F150 involves the cat and evaporative emissions tests. So it seems I need to drive a bit more. The EVAP section seems simple, though I’ll need to put some gas in to assure I’m between 15% and 85%. Sadly, my reader doesn’t allow me to directly monitor the FLI and EVAPOC sensors, so I’ll just have to hope. The second part seems a bit more tricky. Wish me luck! On VW and Audi cars, you can generate the readiness codes on most of them without having to even drive them. Pretty much 1999.5 models and newer can be set with a factory scan tool like the 5051 or 5052. Now the factory scan tools of course cost several thousands of dollars and basically are crap. There is a company called Ross Tech that makes software/hardware for window based latptops that outperform the factory scan tools and kits pricing starts at $250-ish. With that, you can monitor and set your emissions test right there in the parking lot of the test center, then roll on up and pass your test. Or… if you are lucky like me, you live in an area that doesn’t have the bogus emissions tax. I’ve been searching for weeks, I’m on 6 thousand miles in ten month and still the evap has not reset I can’t find anything on my problem done over 15 drive cycles maybe you have a thought? The Toyota drive cycle description I found was a convoluted mess of conditions. It’s ridiculous. I’m looking to buy a pre-1996 car next that won’t have these problems. If the drive cycle is completed will the check engine light go off too.? Resetting Your OBD-II Before A Smog Check | Toolmonger Protect Your Pc! Now you can run your system in a virtual environment with no change to your real environment. If you experience malicious activities, perform a reboot to restore your system back! Access https://goo.gl/CEJ7ju and Learn More!